Eyjafjallajökull (Icelandic for Island mountain glacier) is one of the smaller ice caps of Iceland, situated to the north of Skógar and to the west of Mýrdalsjökull. 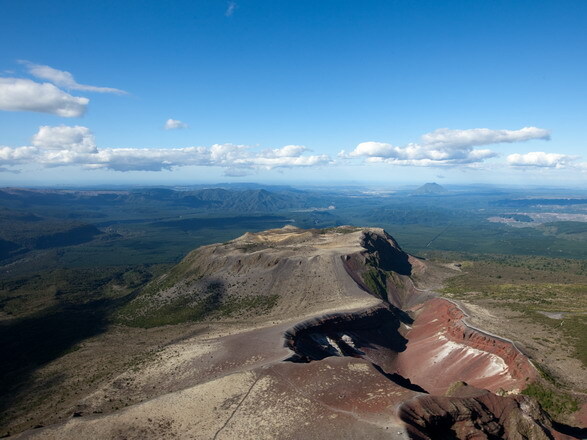 The ice cap covers the caldera of a volcano with a summit elevation of 1651 m. The volcano has erupted relatively frequently since the last glacial period. 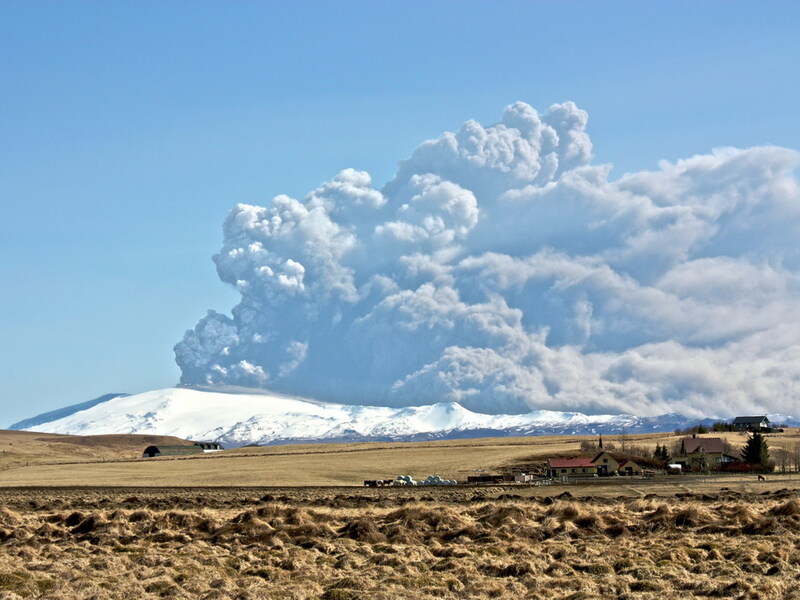 Eyjafjallajökull consists of a volcano completely covered by an ice cap. 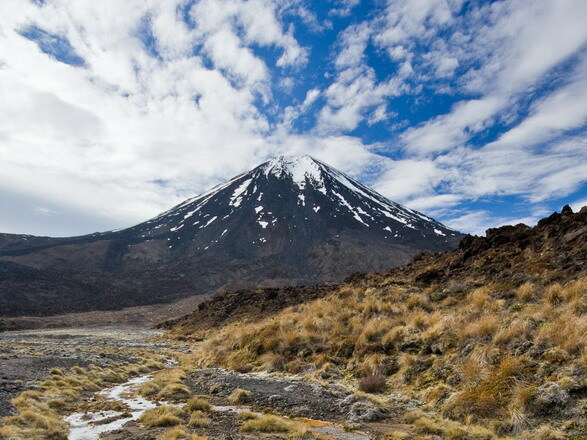 The ice cap covers an area of about 100 square kilometres, feeding many outlet glaciers. The main outlet glaciers are to the north; Gígjökull, flowing into Lónið, and Steinholtsjökull, flowing into Steinholtslón. The glacier is the 4th largest in Iceland. 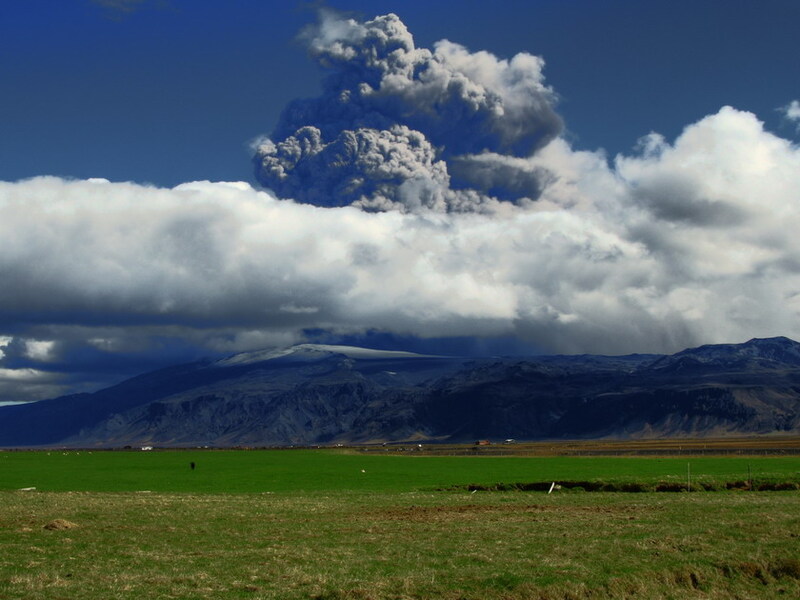 In 1967 there was a massive landslide on the Steinholtsjökull glacial tongue. 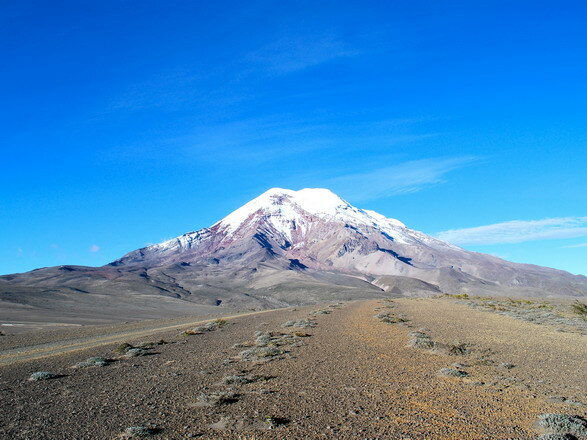 On January 16, 1967 at 13:47:55 there was an explosion on the glacier. 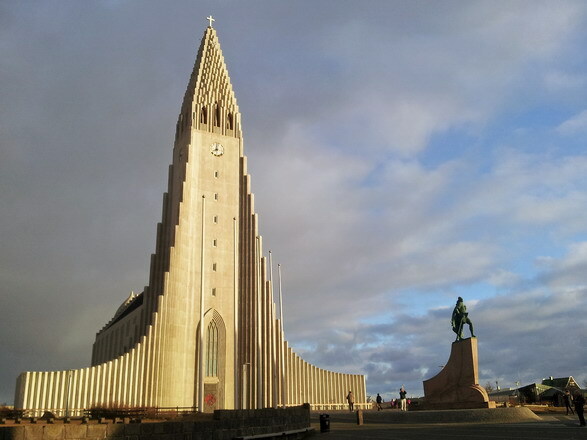 It can be timed because the earthquake meters in Kirkjubæjarklaustur monitored the movement. When about 15,000,000 cubic metres of material hit the glacier a massive amount of air, ice, and water began to move from under the glacier out into the lagoon at the foot of the glacier. 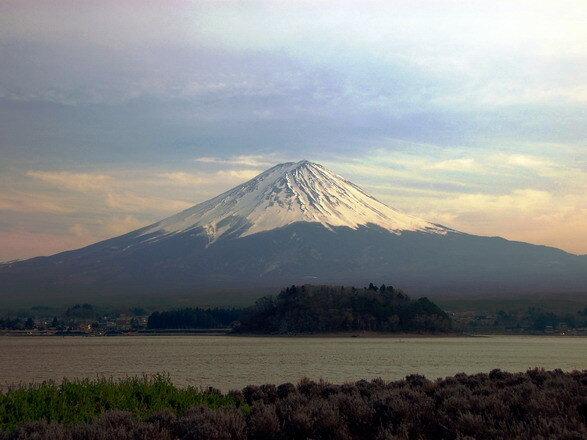 The mountain itself, a stratovolcano, stands 1651 m at its highest point, and has a crater 3–4 km in diameter, open to the north. 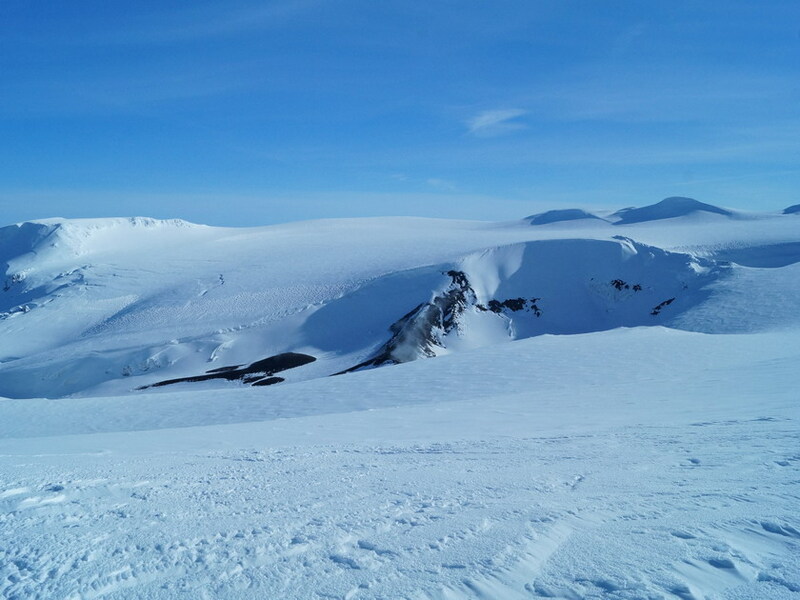 The crater rim has three main peaks, being (clockwise from the north-east) Guðnasteinn, 1500 m (approx), Hámundur, 1651 m and Goðasteinn, 1497 m. The south face of the mountain was once part of Iceland's Atlantic coastline, from which, over thousands of years, the sea has retreated some 5 km. 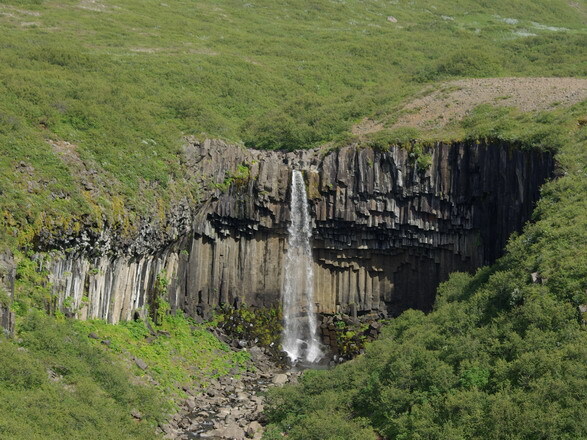 The former coastline now consists of sheer cliffs with many waterfalls, of which the best known is Skógafoss. 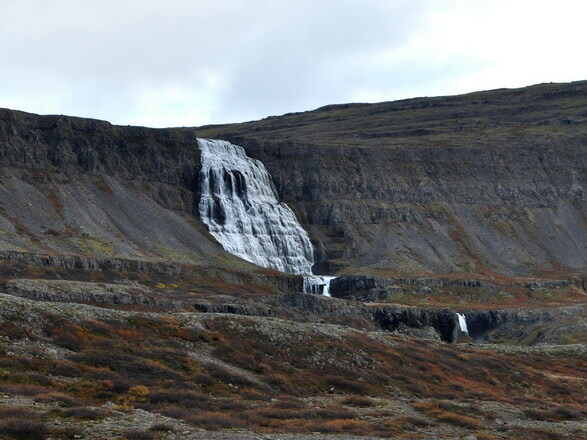 In strong winds, the water of the smaller falls can even be blown up the mountain. 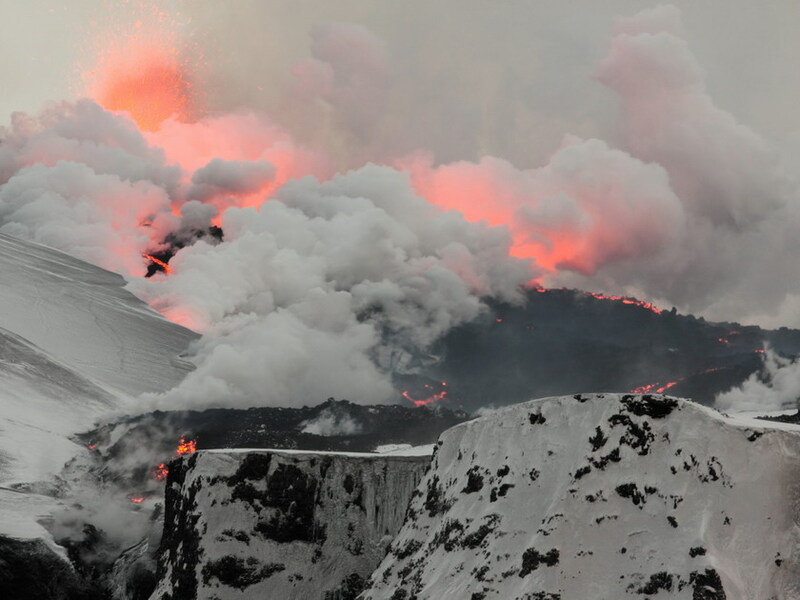 The area between the mountain and the present coast is a relatively flat strand, 2 to 5 km wide, called Eyjafjöll. 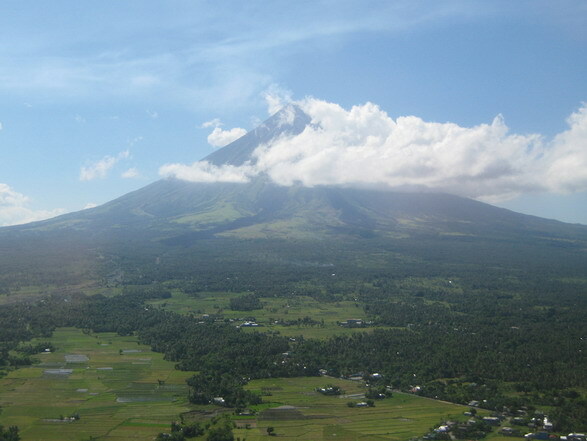 The volcano is fed by a magma chamber under the mountain, which in turn derives from the tectonic divergence of the Mid-Atlantic Ridge. 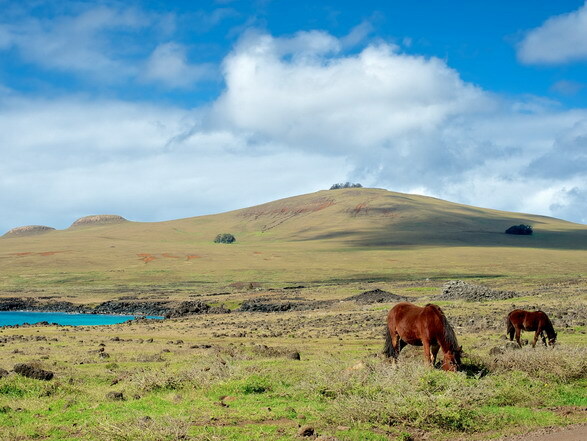 It is part of a chain of volcanoes stretching across Iceland. 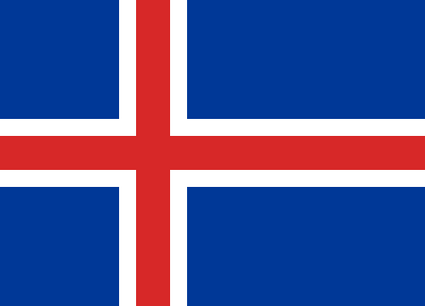 Its nearest active neighbours are Katla, to the northeast, and Eldfell, on Heimaey, to the southwest. 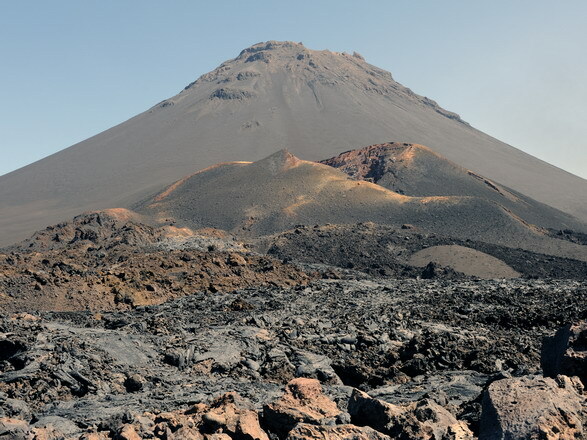 The volcano is thought to be related to Katla geologically, in that eruptions of Eyjafjallajökull have generally been followed by eruptions of Katla. Eyjafjallajökull in March 2006, viewed from a recreation area on the Sólheimajökull, a glacier on the Katla volcano The Eyjafjallajökull volcano erupted in 920, 1612 and again from 1821 to 1823 when it caused a glacial lake outburst flood or jökulhlaup. 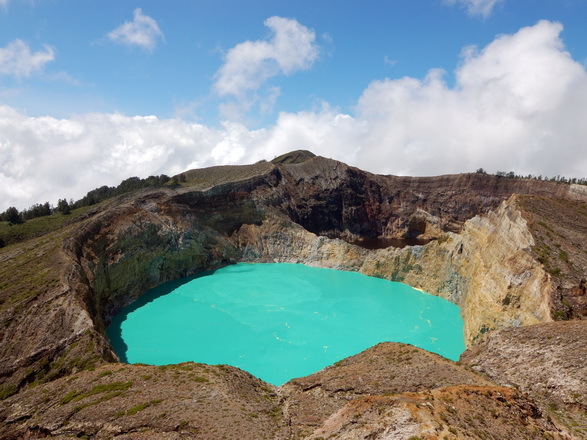 It erupted twice in 2010—on 20 March and in April/May. 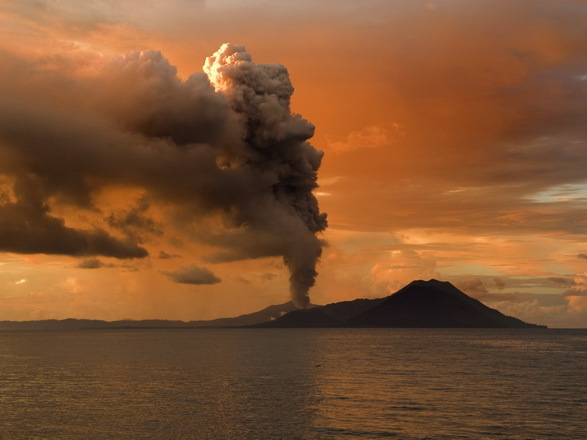 The March event forced a brief evacuation of around 500 local people, but the 14 April eruption was ten to twenty times more powerful and caused substantial disruption to air traffic across Europe. 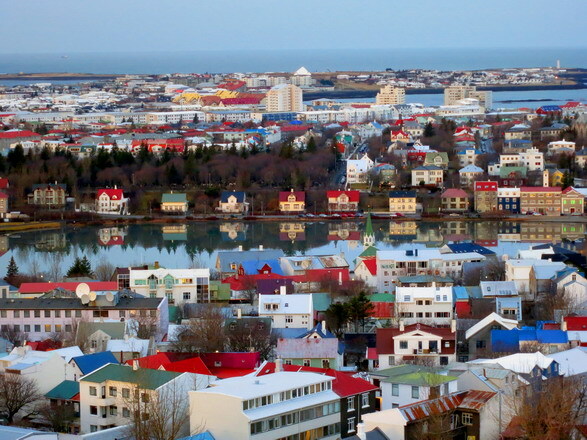 It caused the cancellation of thousands of flights across Europe and to Iceland. 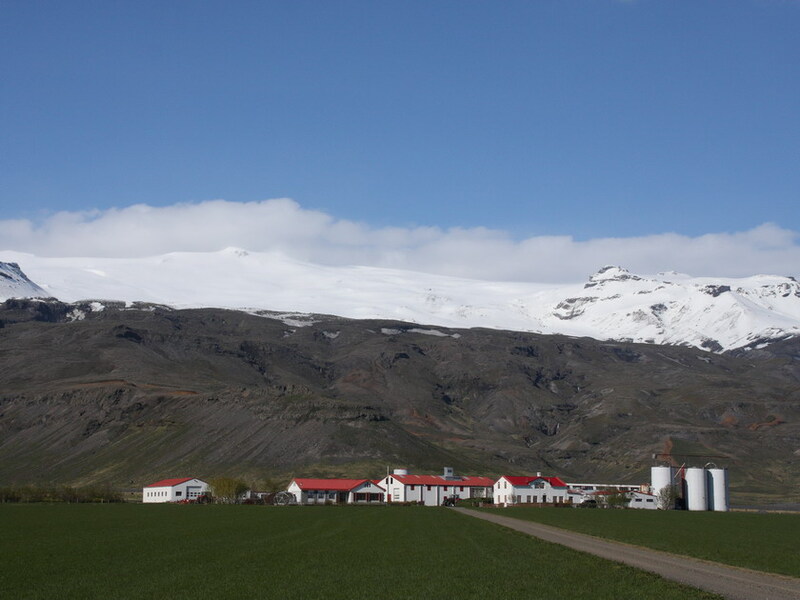 The name means "glacier" (or more properly here "ice cap") of the Eyjafjöll. 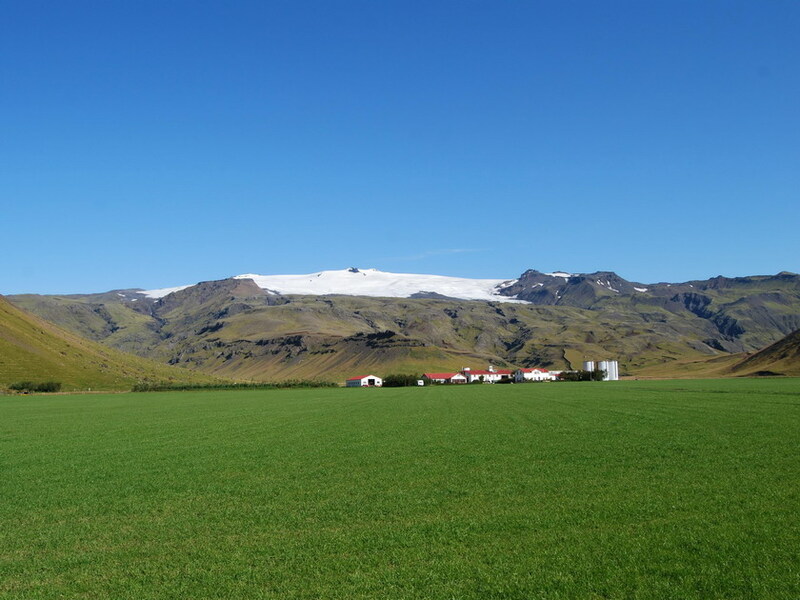 The word jökull, meaning glacier or ice cap, is cognate with the Middle English word ikel surviving in the icle of English icicle). 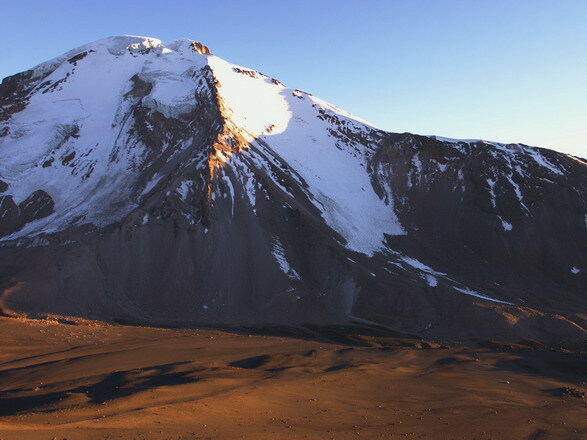 Eyjafjöll is the name given to the southern side of the volcanic massif together with the small mountains which form the foot of the volcano. 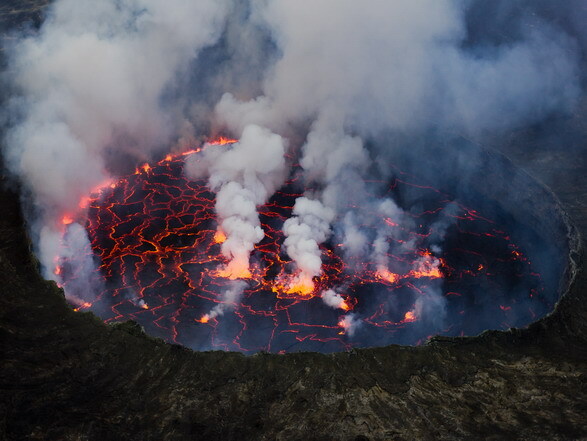 The name Eyjafjöll is made up of the words eyja (genitive plural of ey, meaning eyot or island), and the plural word fjöll, meaning fells or mountains), and together literally means: "the mountains of the islands". 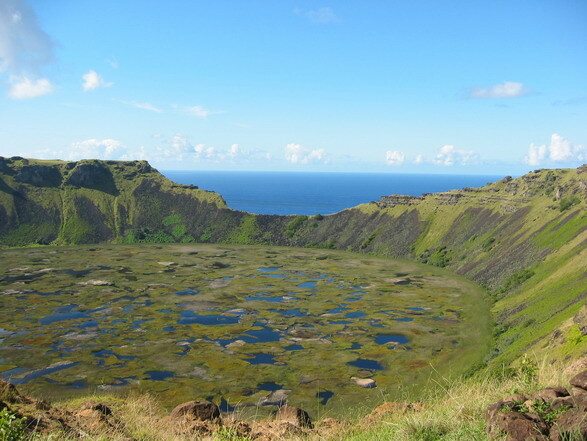 The name probably refers to the close-by archipelago of Vestmannaeyjar. 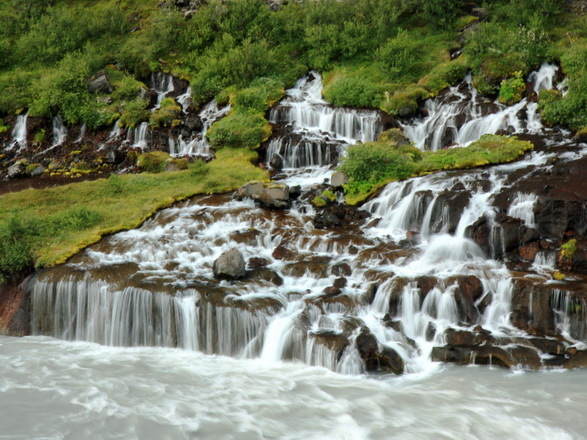 The word fjalla is the genitive plural of fjöll, and so Eyjafjalla is the genitive form of Eyjafjöll and means: "of the Eyjafjöll". A literal part-by-part translation of Eyjafjallajökull would thus be "Islands' Mountains' ice cap".